Having its World Premiere today at Scotiabank, and screening again on the 16th and the 19th is this poignant and powerful documentary from filmmaker Danae Elon. Elon invites us into the life of her and her family, as she documents a journey of the heart, and the search and discovery of home. Born in Jerusalem, Danae, her partner Phillipe, and her two sons, with a third on the way, currently reside in Brooklyn, where her sons, and her family, seem quite content. However, the death of her father, a prolific writer and journalist, reawakens a desire to return home, even though her own father had turned his back on Jerusalem, saying it was no longer the place of his youth, his dreams, or those of the city’s founding fathers. What follows is an honest, loving, and by turns painful and heart-wrenching piece as Danae and her family pull up stakes in the U.S. and move across the world, to Jerusalem. We discover, alongside Elon that there is great beauty as well as terrible hatred in the land she grew up in, and things have not necessarily changed for the better, although there are some brilliant glimmer of hope, not in the current residents, but in their children, and their educators. 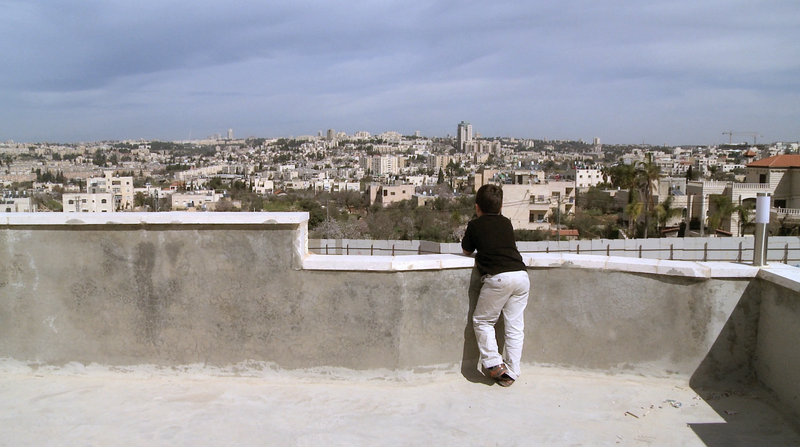 While Phillipe struggles to find acceptance, and even work in their new home, the children are bustled off to school, a rather smart and progressive one, where they are taught both Hebrew and Arabic. It is here that Christianity, Jewish and Muslim holidays are celebrated together, studied, explained and understood. I love this. Fostering understanding across religions and cultures, especially while they are young. Compassion and understanding, much like hatred can be learned behaviours and they are learning together, and learning wonderfully. It’s education, and children, in their innocence and honesty, that may be the hope for not only Jerusalem, but everywhere. And if these friendships can cross borders, and religions, then perhaps there’s hope for the future. But it’s not enough for the present, to keep the family happy and stable, as Danae and Phillipe face some brutal and tough decisions. Is home where you grew up? Or is home something even simpler… Family?